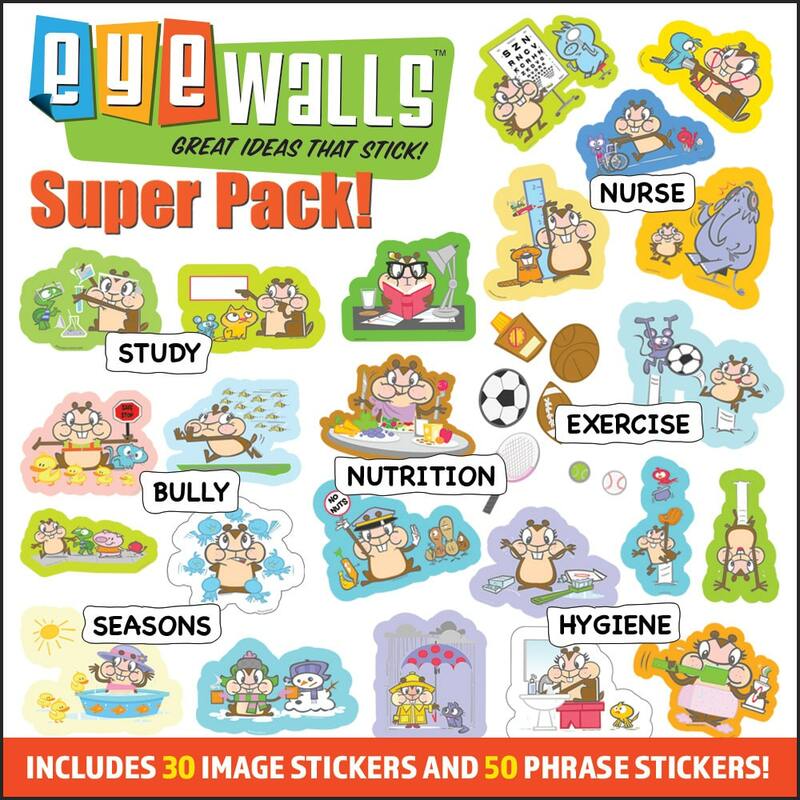 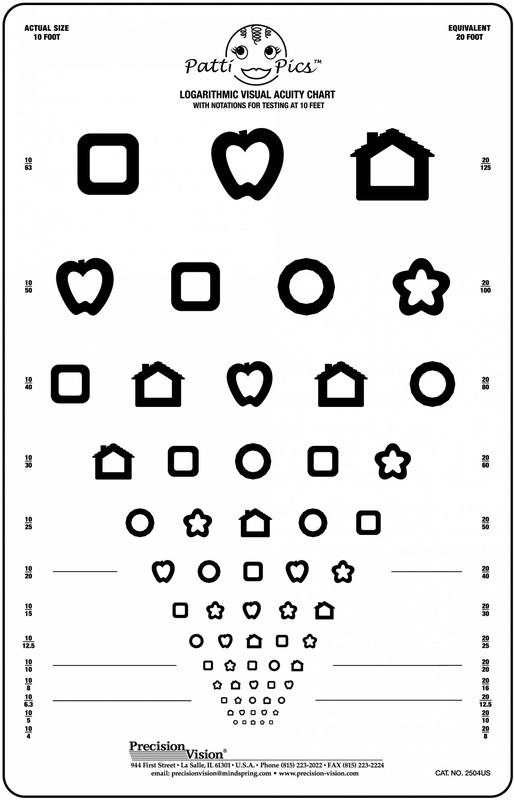 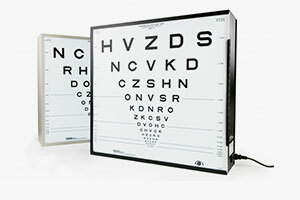 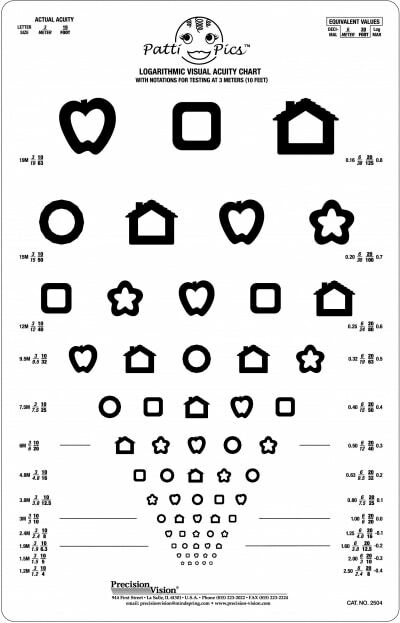 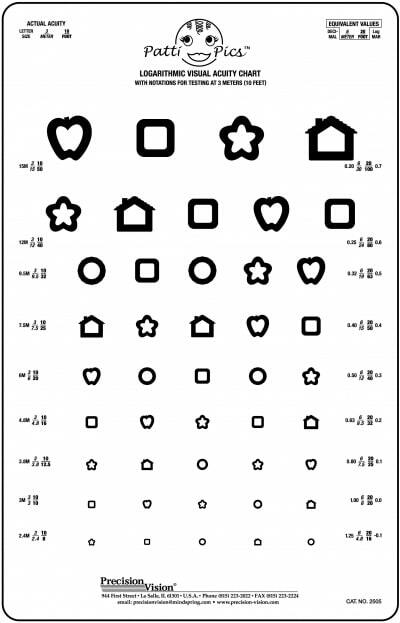 Great for vision screening in multiple languages. 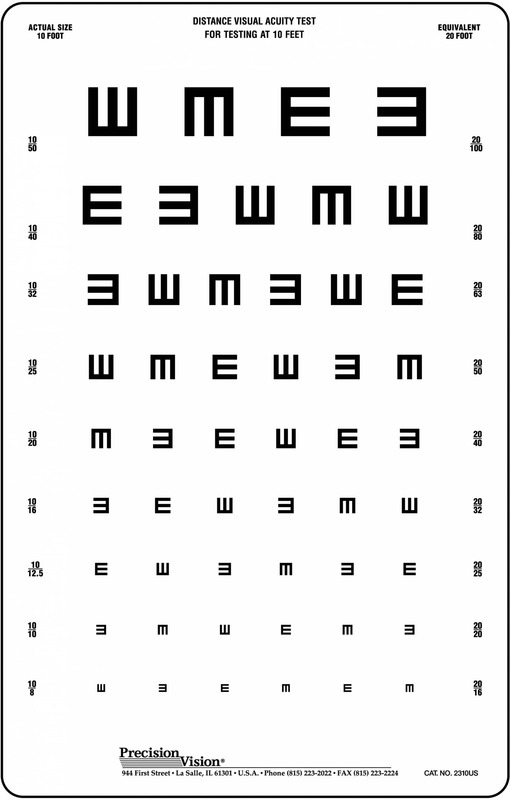 The Tumbling E test uses a single optotype, the E in four different positions; up, down, left and right. 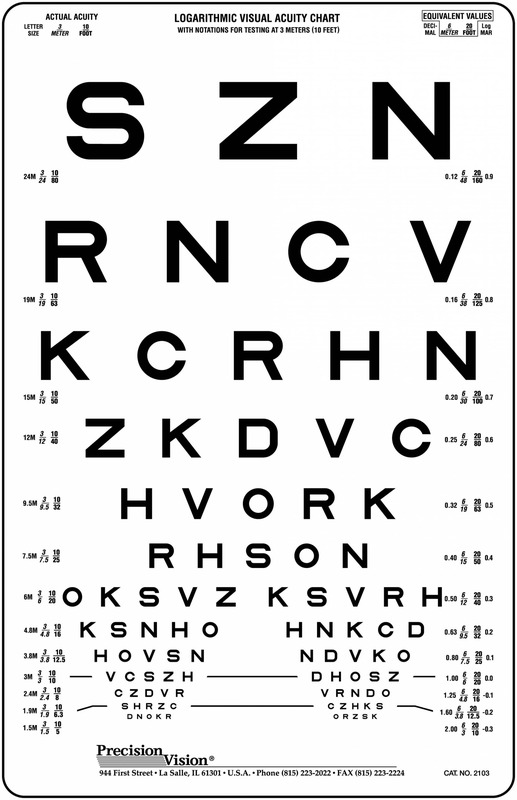 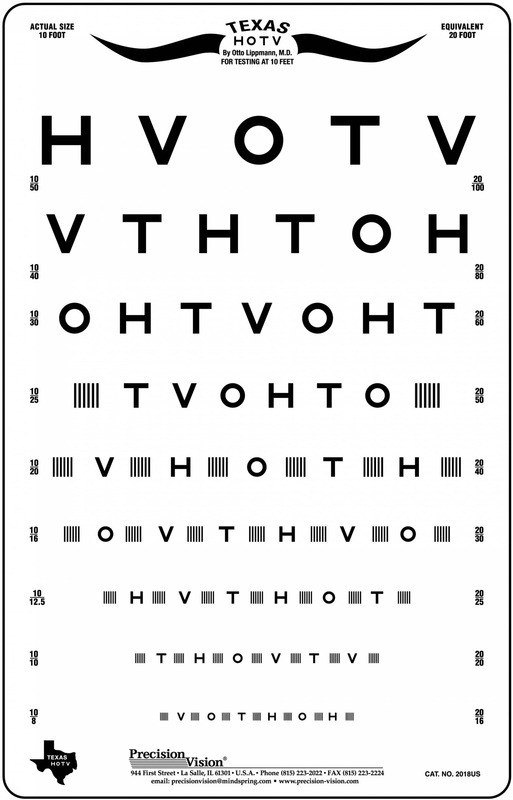 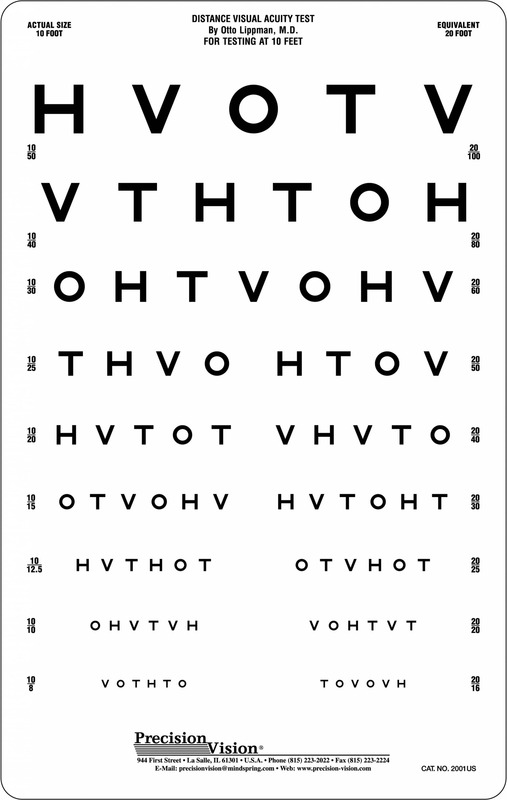 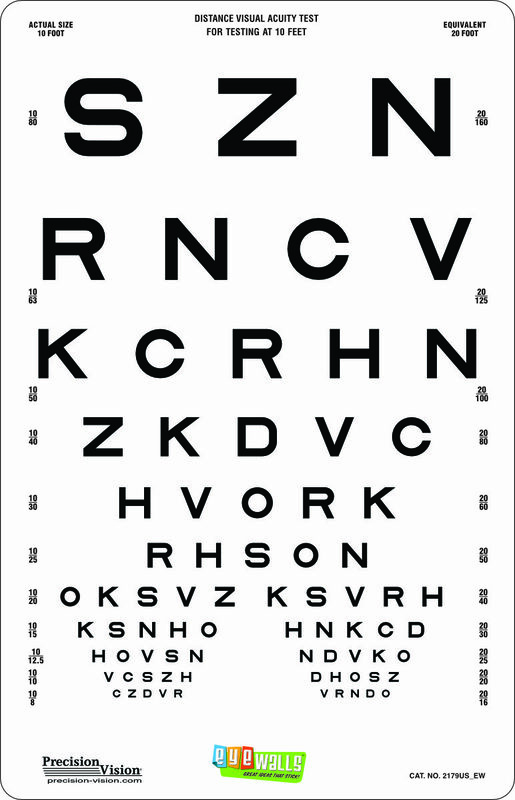 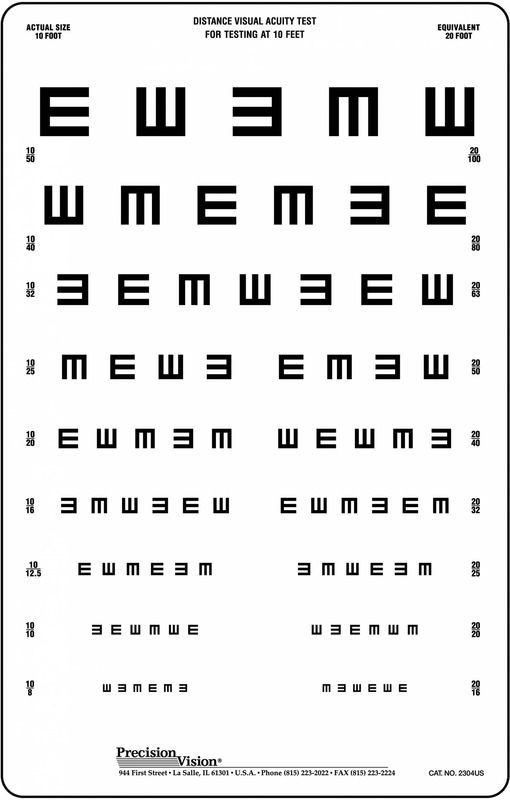 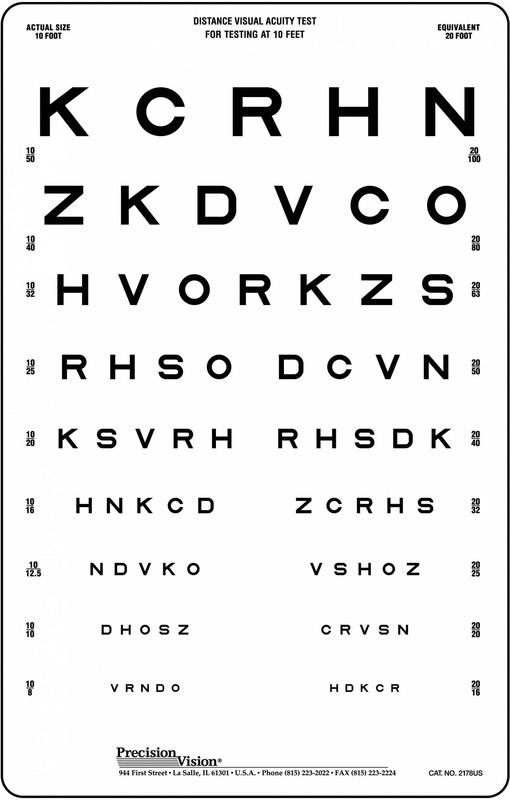 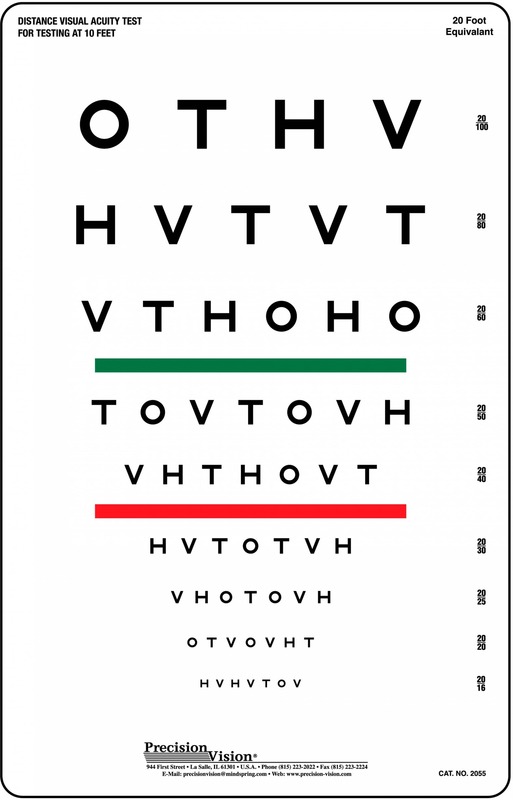 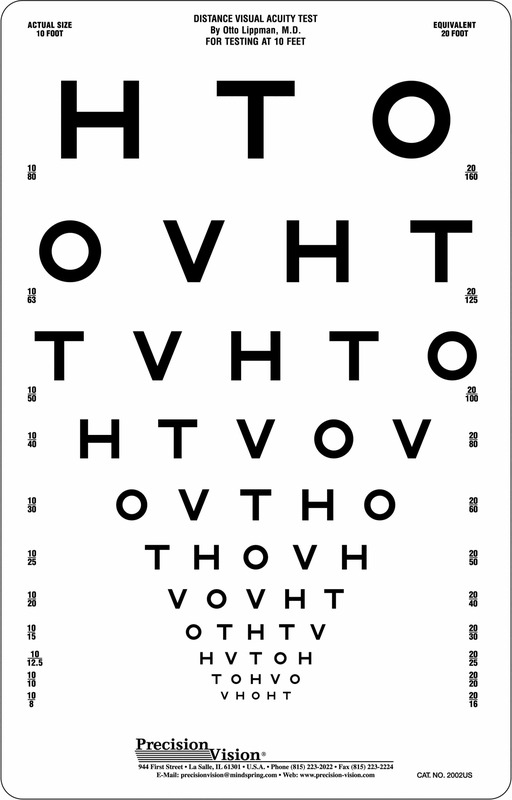 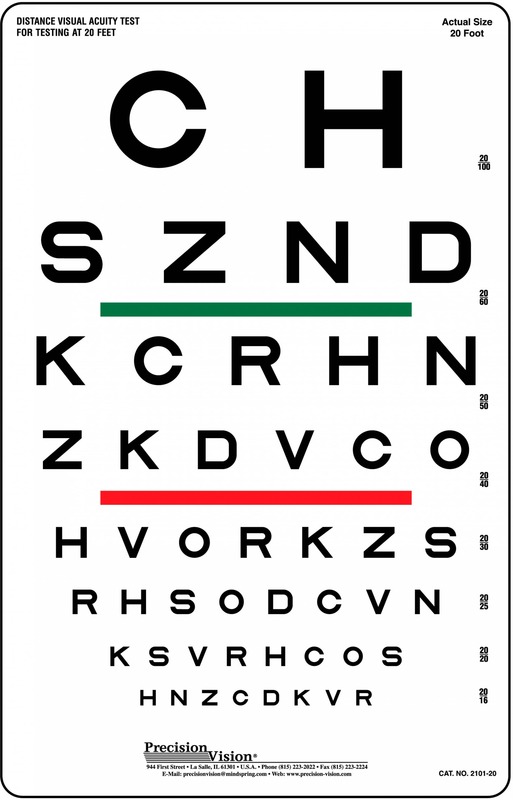 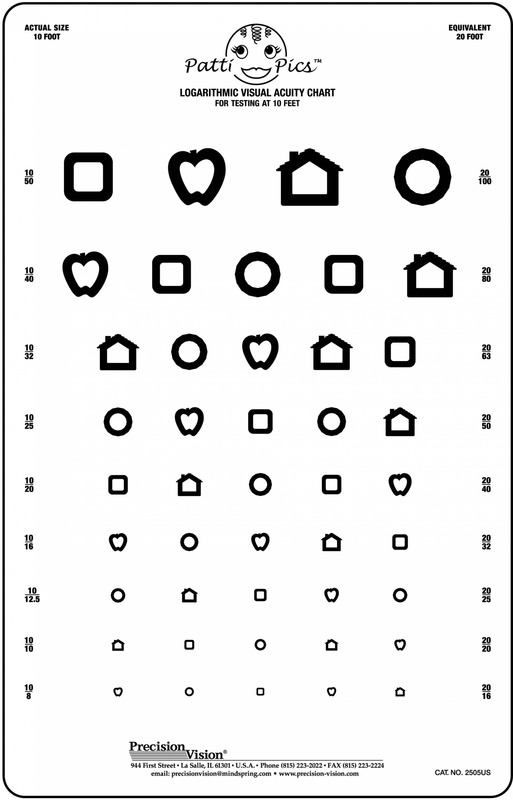 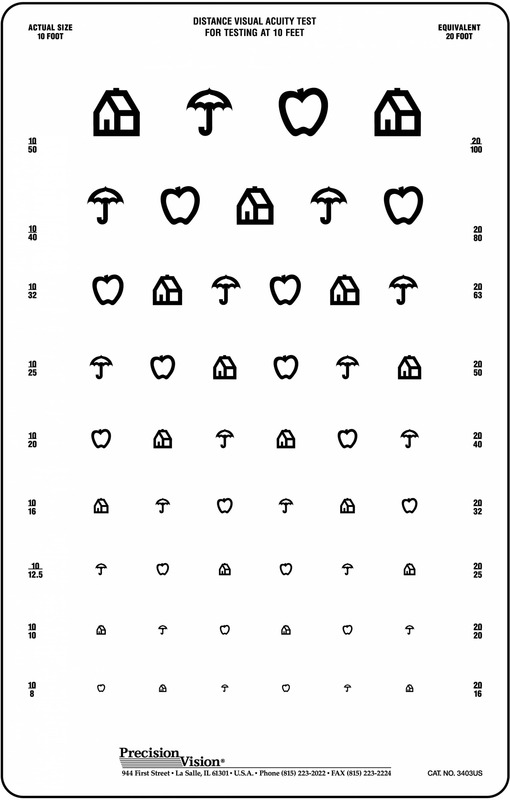 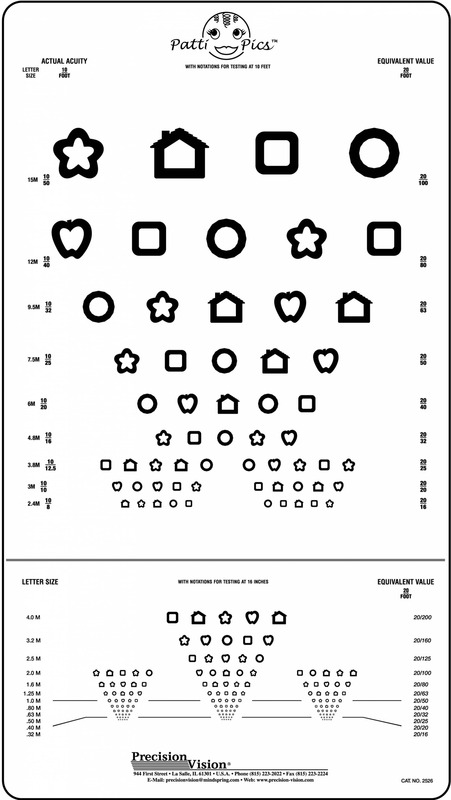 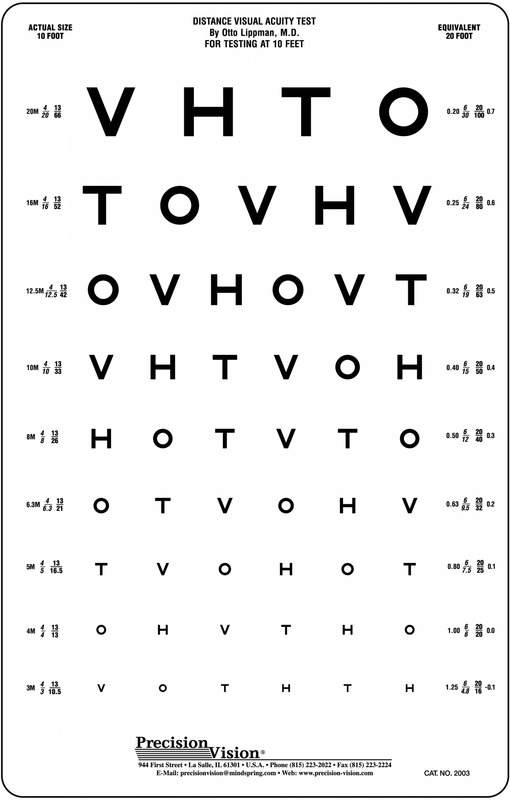 By using a single symbol optotype, this eye test can be administered to several different groups of people, including children, illiterate adults, non-speaking adults, and patients not familiar with the Roman alphabet. 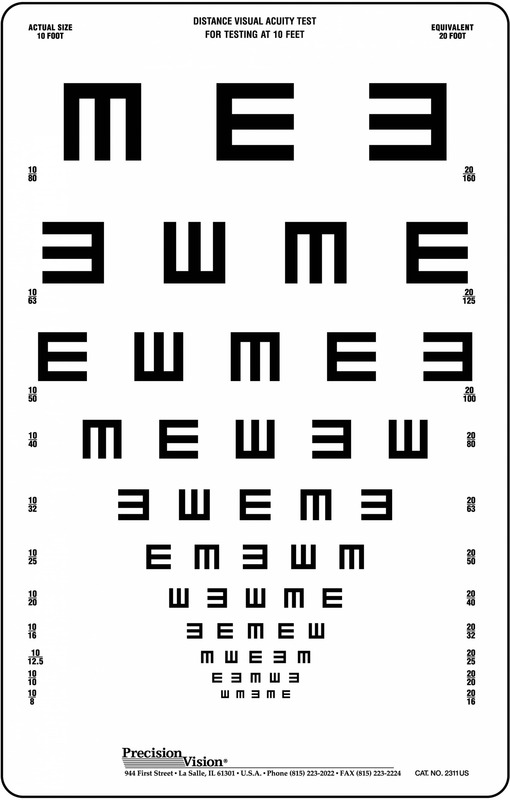 The patient will only have to signal which direction the E is facing.